You are here: Home / Strata Managers / Why are Strata Managers so difficult to get along with? Why are Strata Managers so difficult to get along with? This article explaining the duties of strata manager has been supplied by Paula Byrnes, Metropolitan Strata Reports. The mere mention of the words “Strata Manager” gets many people riled up. I often hear examples of how a Strata Manager was “rude and disinterested, hopeless, unorganised, stupid, simply refuses to return calls or emails… and that they do nothing for the money they are paid”. Some owners think that they pay the Strata Manager … like the Strata Manager gets the entire fee. Many owners don’t know the duty of strata manager or what services are included in the annual management fee and what services are considered “additional” and chargeable … and which services are not available at all within the scope of the duties of strata manager. I consulted with an owner recently who was furious with their Strata Manager for not giving them access to the metre room so they could update their stove. The Strata Manager had told the owner to hire an electrician to install the stove but the owner would not accept the advice and launched into a dispute with the Strata Manager. My advice to this owner was to engage an electrician to install the stove, and I explained why. A buyer recently asked me why the Strata Manager wouldn’t search the records to tell her if there had ever been any ceiling repairs in the unit she wanted to buy. So I explained that, when it came to non-urgent matters, the Strata Manager acts on the collective instructions from the Committee …and I doubt the committee would give this type of instruction, seeing as she was a non-owner. In the case of an individual owner wanting information, it’s normally charged to the individual owner although unlikely that any Strata Manager would look further than minutes of the past 5 years … IF this service was even available. NON-owners are NOT privy to the information contained in the files but if they provide an authority from an owner (or legal representative of an owner), they can do their own search of the files or engage a Strata Inspector (bearing in mind that a standard inspection is not likely to report a single ceiling repair). This buyer wasn’t impressed with Strata Managers in general and complained that her last Strata Manager wouldn’t check the work the tradies did so the tradies “ripped off” the owners – a common complaint. What many owners don’t know is that tradespeople waste a lot of time going to a building to inspect and provide a quote that goes nowhere so often getting quotes can end up costing more than just getting on with the repair. I explained this to my buyer along with the fact that Strata Managers are often expected to check work that has been done by tradesmen. The fact is, Strata Managers are office workers who are usually desk-bound … they just don’t have those qualifications and if they did, Strata fees would be way higher. Owners can hire the services of a Caretaker or Building Manager who ARE (usually) qualified to arrange trades … but most owners don’t want to take on this expense. Owners often expect their Strata Manager to give them legal advice to fight the other owners … but how can they, when their role is to represent all the owners as a whole? Owners often confuse the role of a Strata Manager with that of a Property Manager who does represent individual owners. This role does not fall within the duties of strata manager. A Strata Manager’s role is to provide options … NOT advice … especially legal! This can leave an individual owner feeling like they are being bullied or over-powered and that’s where I come in… and yes there are times when a Strata Manager doesn’t have the time to provide the level of service that most owners expect … but the Strata Management business is highly competitive … so they have to keep fees low to make a profit and the result can be an over-loaded Strata Manager! It’s understandable that owners get frustrated however this can be avoided if owners familiarise themselves with what services are covered in the agency fee, what services are chargeable and what services are not provided … e.g. unlimited verbal and written correspondence is usually not covered because some owners take to venting their frustrations … although the owners corporations who do this are under risk of being terminated for not being profitable or for being ‘high risk’. This will allow lot owners to develop an understanding of the duties of strata manager. Owners should also understand the difference between what is considered “urgent” and what’s “non-urgent”. This can be found on the Office of Fair Trading website. Whilst an owner may think their renovation application is urgent, someone else has no water/power, a tree through their roof, or even a life-threatening problem. Owners rarely know how many people manage the building behind the scene, and how many hours each month each person spends on tasks related to the management of the building. This is a question that a Strata Manager can answer. The total amount of hours spent running the strata scheme each year can be divided by the yearly fee. This usually doesn’t equate to many (if any) spare hours @ the Strata Manager’s hourly charge rate. Strata Managers often cop slack from other industry professions as well … such as Property Managers…. who complain if the Strata Manager takes too long to do repairs. The fact is that the Strata Manager is under obligation to get spending approved from the committee before carrying out non-urgent repairs … and heaven help the Strata Manager if the Committee won’t approve necessary work to an individual unit … then the Strata Manager becomes the meat between the (committee/agent) sandwich!! Many Strata Report Inspectors are scathing of the Strata Manager, but it’s often the Inspector who lacks understanding of the obligations of the Strata Manager in relation to providing information to non-owners. Strata Managers risk having verbal information misconstrued by the Inspector so they are within their right to be careful when providing information, which they are not obligated to do. Strata Managers ‘manage owners corporations’ … they don’t do reports. This role also falls outside of the duties of strata manager, so needless to say we often come across a general lack of empathy and understanding among these two professions. The truth is that Strata Report Inspectors have more to do with the files then Strata Managers, so it’s easier for us to pick up discrepancies in the files that the Strata Manager wouldn’t see. Strata Report Inspectors asking for help are best to ask the Strata Manager in a way that isn’t condescending or doesn’t put the Strata Manager at risk of litigation. So next time you get frustrated with a Strata Manager, take a deep breath and take comfort in knowing that they are not being difficult … they are just working within the guidelines of all the various governing legislation, working under the rules and protocol of their employer and juggling priorities with the many owners (and potential new owners) within the portfolios they manage. We are all in the business of Strata Living …a little understanding goes a long way in creating productive relationships!!! WA: Q&A Where can I make strata manager complaints in WA? Looking for a Strata Manager in your area? Search within our Strata Services Directory in the category Strata / Body Corporate Manager for the best list of contacts available. Thank you for the information you provide in your column. My wife and I have been a strata owners in NSW since 1986. For all of the time we have been self managed and for most of the time this worked well. However, with a change to our current secretary things have not worked well. Put briefly, the secretary refuses to communicate with anyone and provides autocratic administration. Members tend to do as they wish on the common property and parking is always in a confused state. One meeting a year is usually held at a time which mostly suits the secretary and sometimes members are not informed of the date. Our policy is that we try to avoid the strata title secretary in order to make what is a very poor situation even worse. In other words we have a policy designed to avoid stress. After all there is not very much that the secretary plans to do in these circumstances and there is little risk of permanent harm or damage. We remain hopeful that one day things will improve but we need to be patient. Thank you for your comment Brett. In response to your question, from a non-legal perspective, a Strata Manager’s role is to carry out the functions as outlined in the Managing Agency Agreement (MAA). Like any legally-binding agreement, what is covered obviously varies with different strata firms. They should provide ‘guidance’ about legislative requirements. At times, Strata Managers don’t agree with the instructions they are given but as long as carrying out the instruction is not in breach of any governing legislation, they are obligated by the MAA. In relation to Executive Committee meetings, there are clear guidelines. If you asking if the agenda should have a motion for the committee to vote for or against, that’s best practice – although motions can be written in a way that allows flexibility with the resolution. Where possible, the motion should include what is proposed, when it should happen (or not) and who is going to carry out the resolution. It doesn’t have to have a “why”. In regards to owners having a say about what decisions the committee can make, limitations can be placed on an Executive Committee in their capacity to make decisions at the Annual General Meeting – although the motion that goes on the AGM agenda must reflect that. 1. 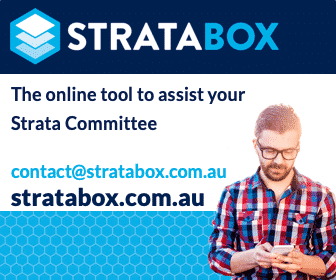 Does a Strata Manager have a responsibility to advise the Strata Committee to provide a detailed agenda as outlined in the SSM Act 1996 (Schedule 3; 6(3)) for Strata Committee Meetings? 2. I am aware the Act also allows a provision for owners to stop the Strata Committee making decisions at a Committee Meeting (Schedule 3; 11(2)), thus implying the agenda should have specific items listed in the form of motions on the posted agenda. Considering Schedule 3; 11(2), what in your opinion is a detailed agenda?